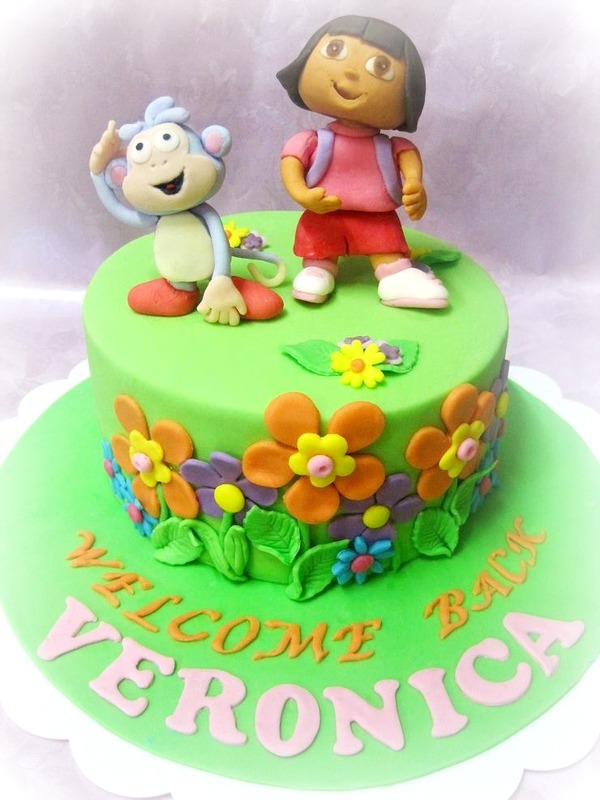 It's my first time making Dora The Explorer and Boots cake. I didn't really watch the show before though my niece is a big fan of Dora. Dora is different from all those princess cartoons, she is adventurous and outgoing. I like her character and the scene in the show is very much like our country, Malaysia outskirt area. Dora looks very Malaysian too, don't you think? The cake is 6", Dora and Boots are handsculpted with fondant and gumpaste. It was really fun making Boots!